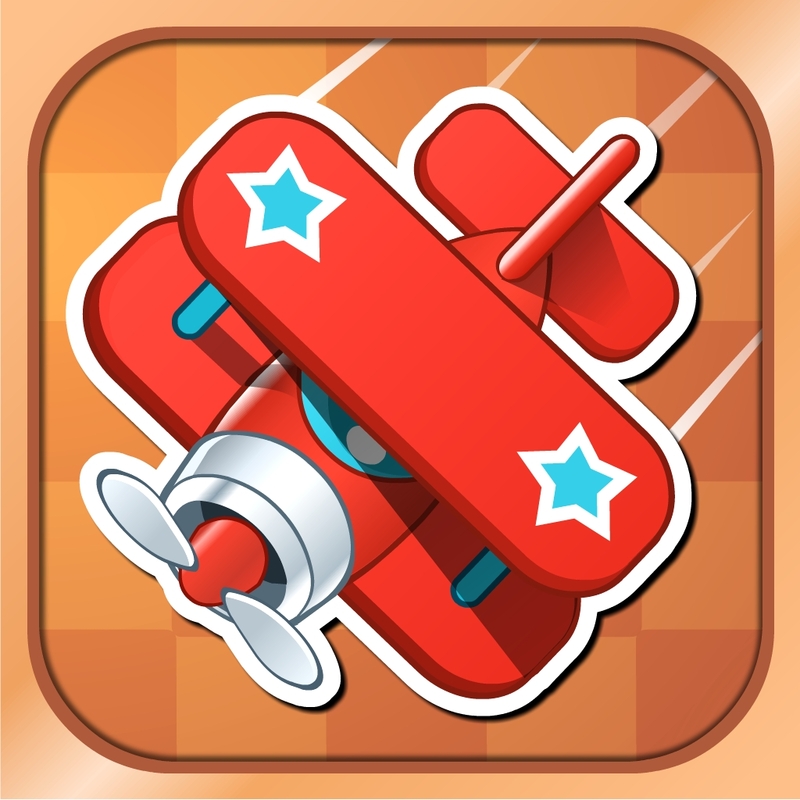 Help Me Fly ($0.99) by Funtomic (2008) LTD is a brilliant and charming puzzle game that will challenge you as you try and fit all of the pieces together. 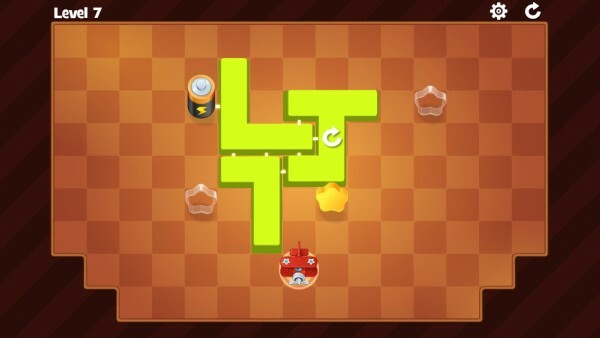 The visual style reminds me a bit of games like Cut the Rope and Pudding Monsters. With big, engrossing games like Infinity Blade III available, sometimes we forget about the delightful puzzle games that are available for killing time. 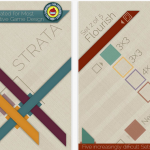 While those graphically intense beasts are great for impressing people, I still enjoy giving myself a real challenge by solving puzzles, so I was pretty happy when I stumbled upon this little gem while perusing the App Store. 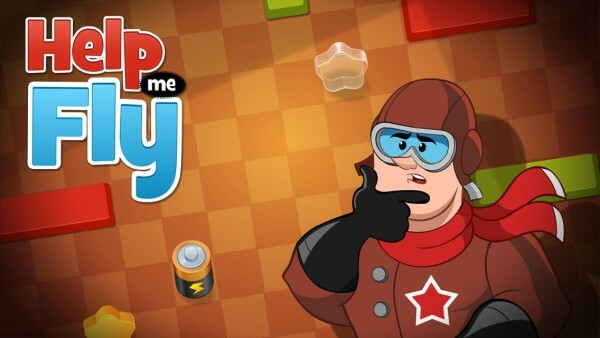 The concept behind Help Me Fly is Propeller Joe, who has run out of power in his toy plane. To help him fly out, you’ll need to give his plane a jump start with some typical household batteries that are just conveniently laying around. 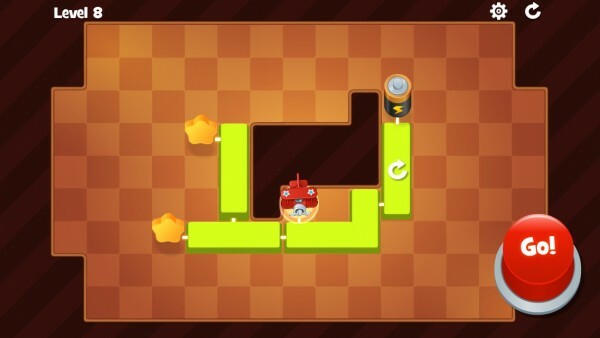 This is done by placing blocks together that will connect the toy plane and battery together, while collecting stars along the way. 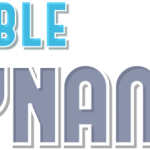 It’s brilliant, endearing, and just plain fun. The big thing that caught my eye with this game were the graphics. 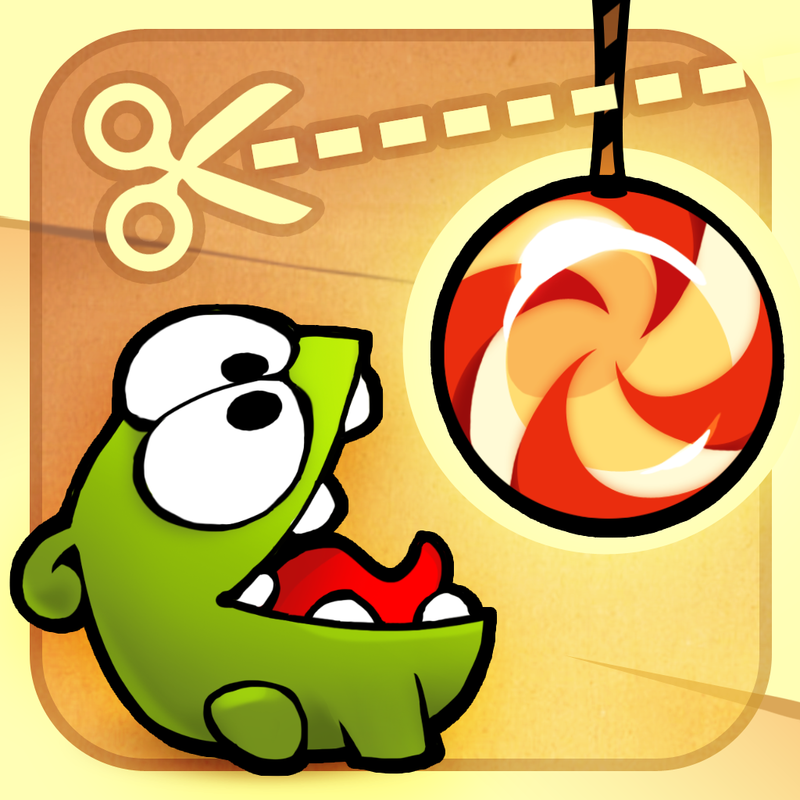 As I mentioned, it has a very cartoonish look and feel to it, just like in the Cut the Rope and Pudding Monsters games. However, it’s not exactly the same, as things are a bit more blocky here. It’s pleasing to look at, and everything is very responsive to the touch. The animations when you move blocks, or make the plane fly, are very smooth and fluid, making it a winner. 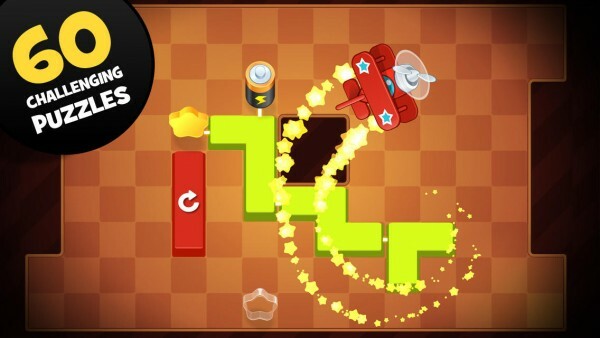 Help Me Fly also as a calming and soothing soundtrack that helps you get into the right state of mind to solve each puzzle, so I recommend keeping it on (unless you can’t, of course). 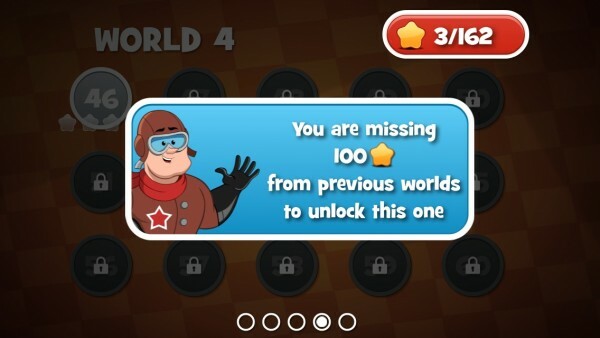 There are currently four available worlds for you to fly in, though the advanced worlds will need a certain amount of stars acquired before they’re unlocked. 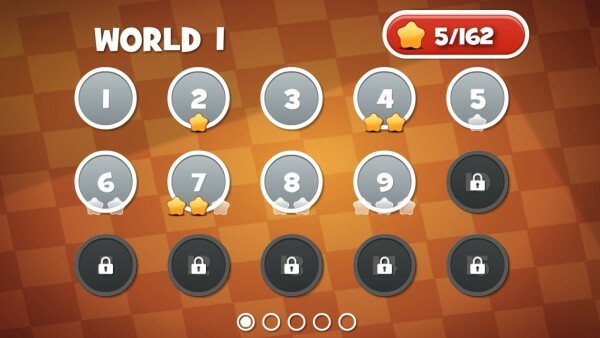 Each world will have 15 levels, making the total number of puzzles to solve 60, but more will be added in the future. 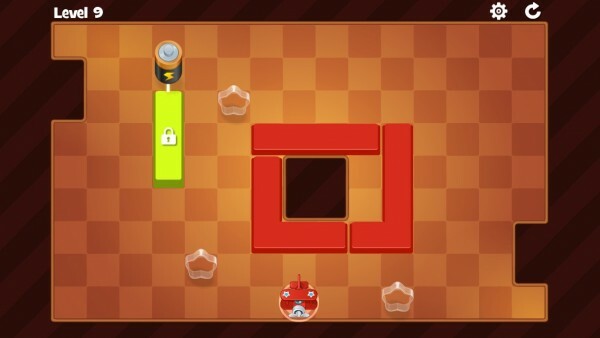 For what it’s worth, the puzzles are quite difficult, so you are getting a lot of content for your dollar. Playing the game is easy. 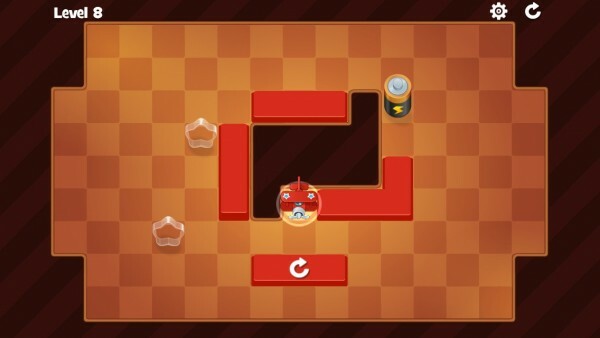 You will find a single battery on each level, and several blocks that you will need to move to create a path that connects the plane to the battery for the charge. These blocks can be moved by simple tap-and-drag, but as you get further in the game, you’ll encounter blocks that can be rotated or locked, making things easier or more difficult. 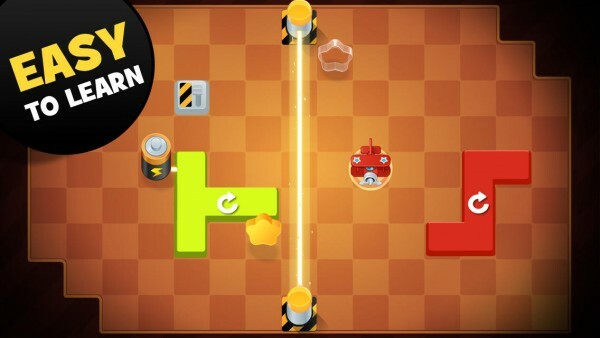 In addition to these blocks, you’ll find obstacles such as gaps in the floor, dangerous lasers, blockades, and more that you will need to get around in order to help Propeller Joe fly. As I mentioned, there are stars in the game to collect. 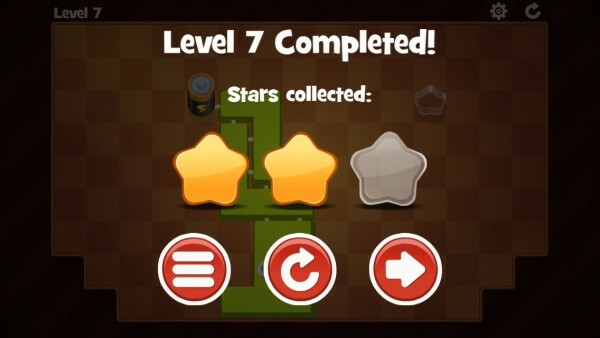 Keep in mind that these are technically optional to get, and not required to complete a level, but you do need a certain amount of stars to open up the second, third, and fourth worlds. To collect the stars, you need to build your path so that the stars light up with energy from the battery as well. The stars just need to be adjacent to the block to be connected, as well as the plane itself. Otherwise, it won’t work. 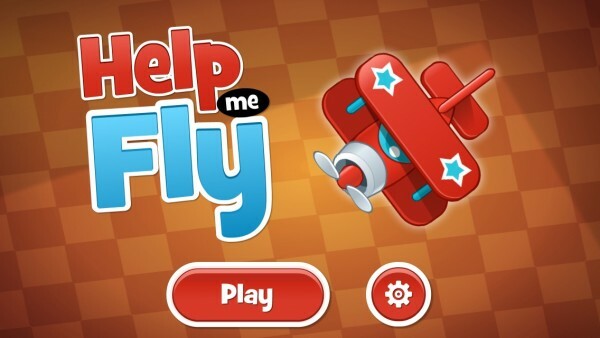 Another thing I like about Help Me Fly is the fact that you pay for the game once, get it for the iPhone and iPad, and you get everything in the initial download. 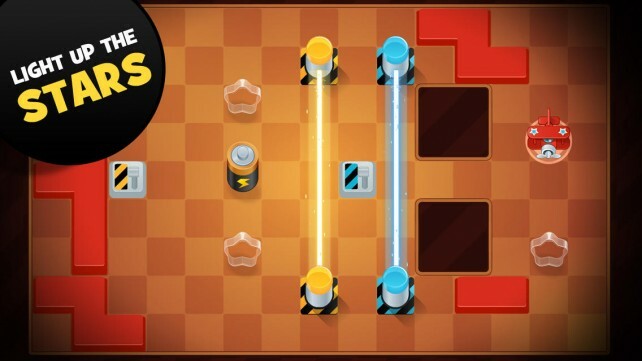 There are no additional in-app purchases or anything like that — the game is all about solving the puzzles with your own brainpower. 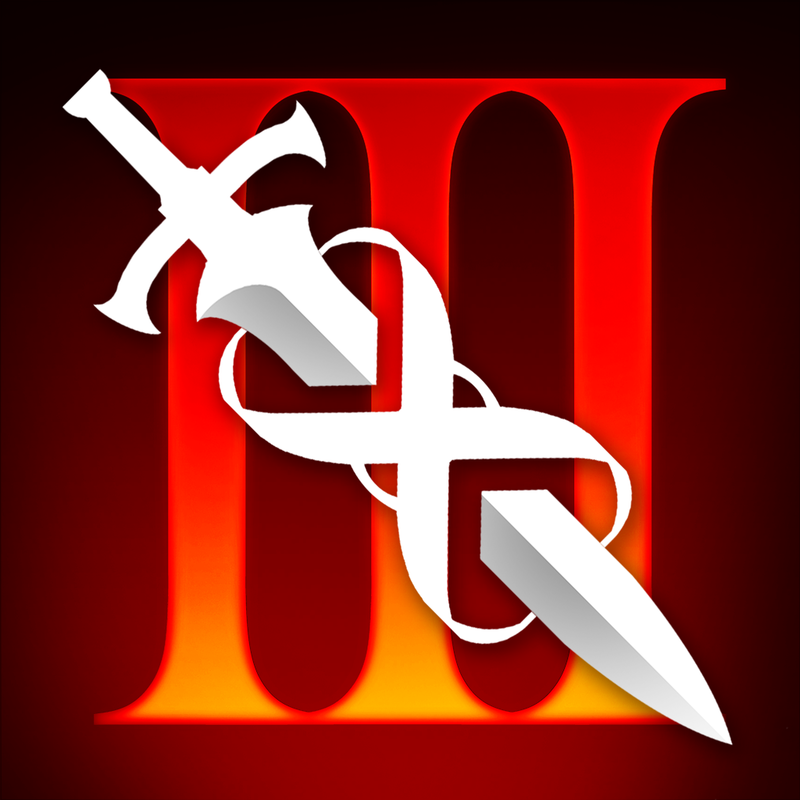 There are too many freemium or paid games that contain “bonuses” through paywalls, so it’s nice to have a game like this in the App Store. I’ve been enjoying Help Me Fly since I downloaded it last night, and I’m going to be keeping this one on my iPhone for quite some time. 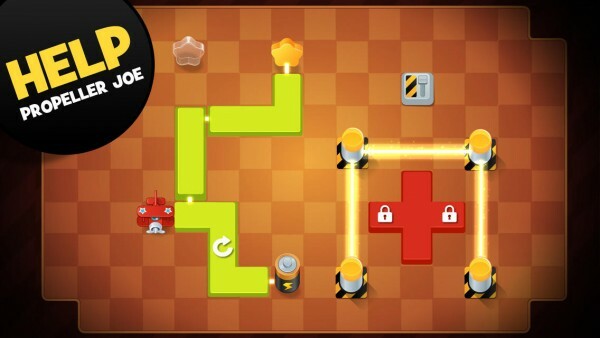 I highly recommend checking this one out if you are into puzzles. 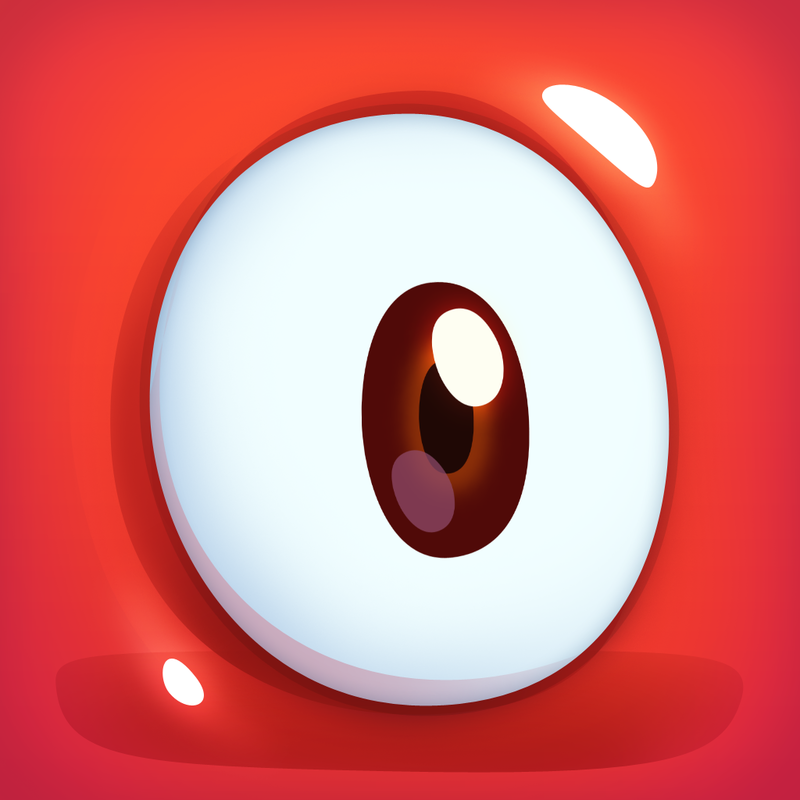 You can find Help Me Fly in the App Store as a universal download for $0.99.